Who exactly are the middle classes in India? What role do they play in contemporary Indian politics and society, and what are their historical and cultural moorings? 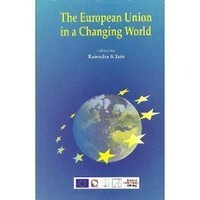 Congratulations to the authors of this volume, The Indian Middle Class, Prof. Surinder S. Jodhka, Centre for the Study of Social Systems, Jawaharlal Nehru University, New Delhi, and Senior Affiliate Fellow at the Centre for Social Sciences and Humanities, New Delhi, and Prof. Aseem Prakash, School of Public Policy and Governance, Tata Institute of Social Sciences, Hyderabad. Their book provides a new perspective on the subject. Ad they argue, the middle class has largely been understood as an ‘income/ economic category’, but the term has a broader social and conceptual history, globally as well as in India. 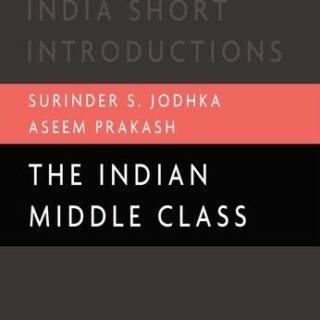 It is this conceptual and social history of the Indian middle class that the book analytically elaborates.